It appears the 3rd loses much of Thurston County and gains all of Klickitat County, making it more of a Republican district, which will help Jaime Herrera Beutler, who so far faces no significant challenge for reelection. 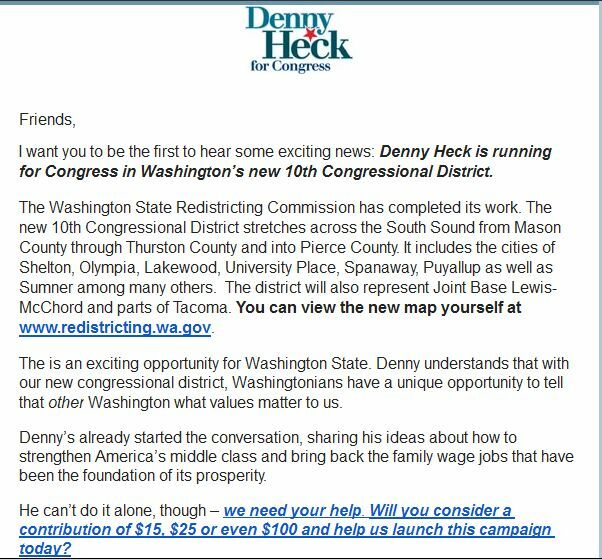 Also as expected, Denny Heck has announced his run in the 10th congressional district which by all accounts will be a very liberal district. I expect Denny will easily win his seat unless the GOP pulls a rabbit out of their hat up there. Everyone has to have a hobby. Too bad, I was hoping to have someone give a real run against an empty suit…. My poor sister is now completely stuck in a liberal community! Carolyn, she can always exercise constitutional right of freedom of association and MOVE? 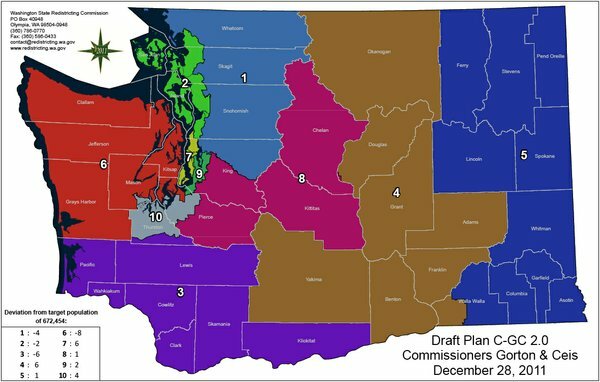 if she doesn’t want to live in a redrawn district.